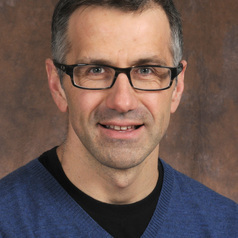 Dr. J Damon Dagnone is an Associate Professor of Emergency Medicine and the CBME Faculty Lead for Postgraduate Medical Education at Queen’s University. As the competency-based medical education (CBME) faculty lead, and Special Assistant to the Associate Dean of Postgraduate Medical Education, Dr. Dagnone has become immersed in numerous institutional and collaborative research projects which include competency-based curricular methods, assessment frameworks, program evaluation, and conceptual papers within the university and in partnership with the Royal College of Physicians and Surgeons of Canada. When not in the ER, the PGME office, or at the gym, Damon can be found chasing his kids around at home or trying to escape to the cottage.